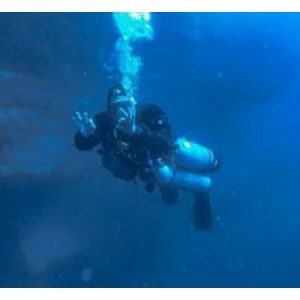 Learn the concepts and skills necessary to safely blend nitrox and helium-based trimix blends for mixed-gas diving. 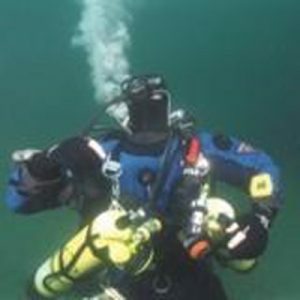 This is a non-diving program that is open to certified and uncertified divers, and teaches the theory and techniques required to safely blend breathing gases. 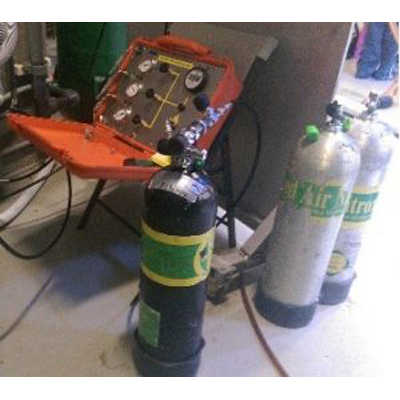 Gas Blender teaches the concepts and skills necessary to safely blend nitrox and helium-based trimix blends for mixed-gas diving. 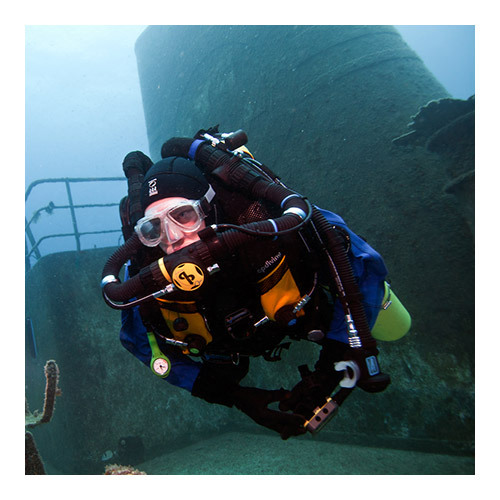 This is a non-diving program that is open to certified and uncertified divers, and teaches the theory and techniques required to safely blend breathing gases. Assist customers in the best gas selection for any given dive. 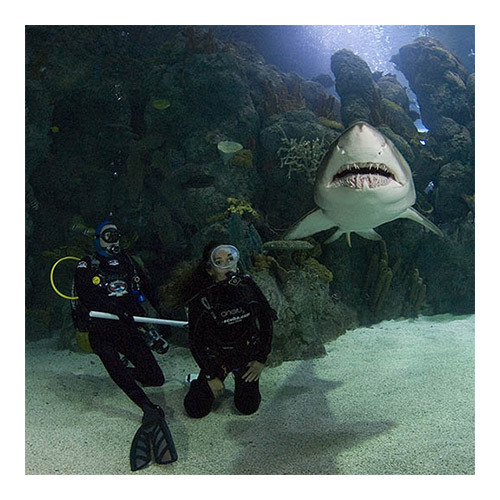 Safely handle oxygen and prepare nitrox and trimix for scuba diving use. Determine gas mixing requirements manually and using gas blending software. Blend gas mixtures to within 1% of the desired value. Properly and accurately analyze the resulting blends. Be the first to review “Gas Blender” Click here to cancel reply.